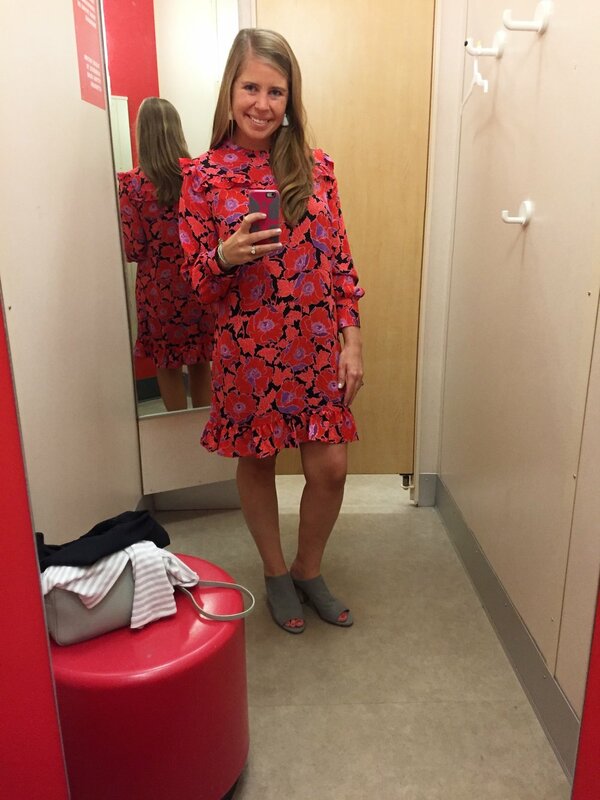 Y'all, have you seen the Who What Wear collection at Target? Or A New Day collection? One of my new blogger friends @cappyandlee posted a picture in one of these dresses the other day, and I knew I had to get to Target ASAP. Cheetah Mini Dress- If you are an animal print lover, this dress is just simply a must have! Printed Mini Dress- This also comes in black if these colors aren't your thing. The ruffles, neckline, and style of this dress are so cute! 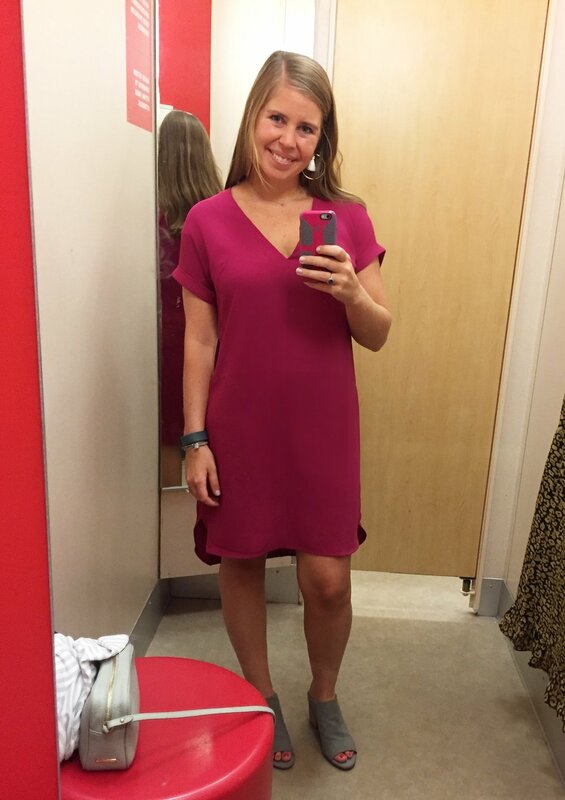 Magenta Short Sleeve Dress- The color and style of this dress drew me in. Then I found another beautiful surprise in the fitting room- it has gold buttons on the back! So cute! If you haven't checked out Target's Who What Wear collection and A New Day collection, click on those words in Italics and get researching!! Those are both clothing lines, but my favorite line they have is a jewelry line called Sugarfix by BaubleBar. You just can't find cuter jewelry for the prices they offer! Do you have any plans this weekend? My sister in law + 2 nieces + a friend are coming in town, and we are ECSTATIC for visitors!!! It gave me an excuse to buy some big, bright sunflowers. I always love an excuse to buy flowers. Anyway, thanks so much for reading! Have a wonderful weekend!